What have I been doing recently? After one year of traveling the world, I decided to slow down and enjoy resort life in Fiji for a while. Can full-time travellers have holidays? Well, I decided I’d want one. Not a hiatus from blogging like my previous break in the Philippines, but a holiday from travelling. I had tons of things I want to share in my blog, but I was traveling too fast to write about them. And because I was constantly moving around, I ended up having more things to write about every week. It was an infinite loop that I had to stop, so I decided to call the month of June my “mental summer holiday”. Not too many activities, just lots of sitting on my computer. Ah, perfect! Blogging wasn’t the only reason I needed this break. I also felt like I needed more time to plan my trip, because I wasn’t sure where I’d want to go. So, when June arrived, I left Australia for South Pacific. 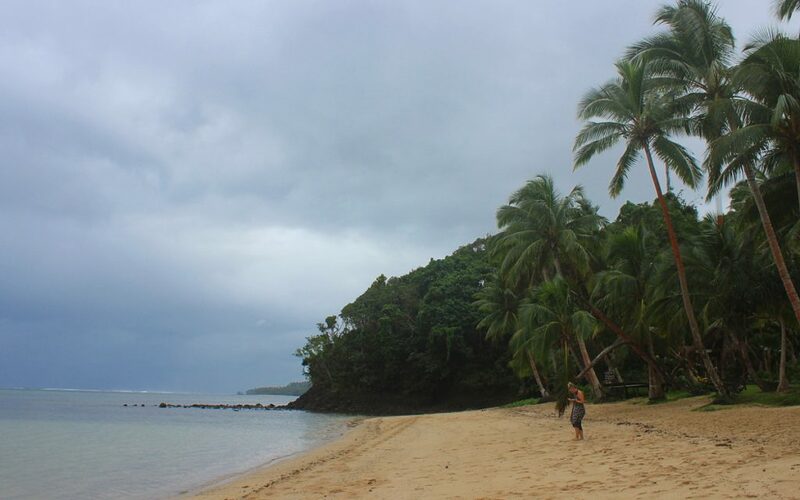 My first destination was Fiji, where I decided to take it easy for a while. Fiji is the ultimate South Pacific island country. It’s warm all over the year and it’s full of those picturesque beaches with palm trees and hammocks. It’s also one of the most touristy countries in the region. After a brief CouchSurfing stay in Suva, the capital of Fiji, I decided to find the right place to enjoy resort life in Fiji. 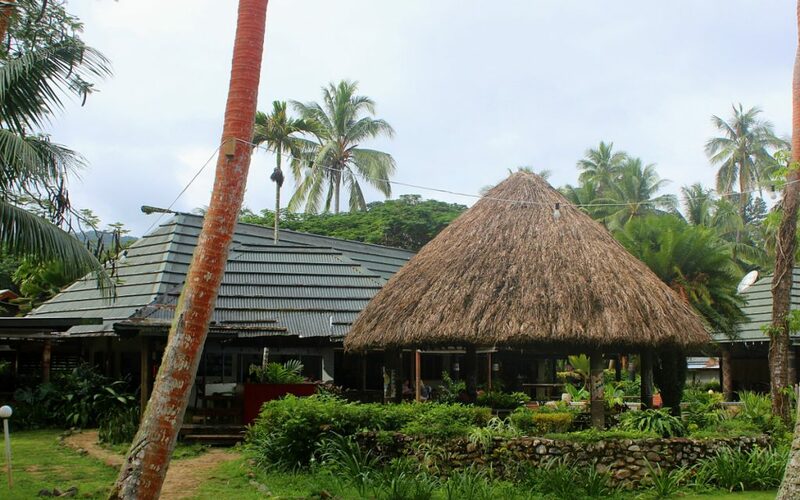 Most of the resorts are located on smaller islands, but I decided to stay in Viti Levu, the main island. I found a place called Beachouse (yes, with only one h) from Booking.com. The place had rave reviews. I decided to book a dormitory bed for 5 nights first and see if I wanted to extend my stay later. What is resort life in Fiji like? Many people dream of a great getaway at the beach, but don’t think too much about what they’d do there. Well, there’s not too much to do at the resorts, but that might be the point. Besides a small beach, Beachouse had a swimming pool, a slackline and a communal area with table football, board games and such. My biggest problem with resort life in Fiji is that nearly everything comes with a price. There were free yoga classes in the evening, but everything from renting a snorkel to water bottles cost a lot. You also had to pay 39 FJD (16.5 €) for a meal package that only included breakfast and dinner. Lunch had to be paid separately. I tried to save money by drinking tap water, but I returned to bottles once the water from taps turned murky and slightly yellow during a downpour. A tiny entrée before a small main course. 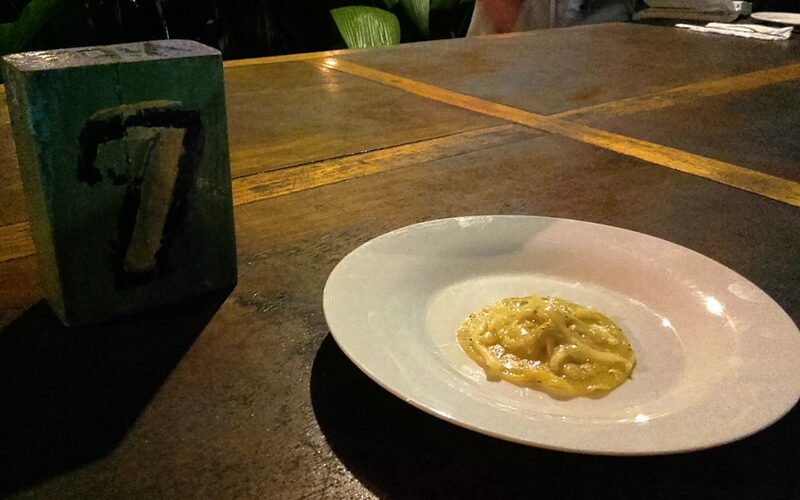 The meals were alright, although the portions were quite small. I prefer fish and vegetarian food, but that rarely was an option at Beachouse. There were practically zero vegetarian or vegan choices available. I hanged out with a German vegan girl who had to ask for a separate dinner, and all she got was a plain salad with no sources of protein whatsoever. Better keep your umbrella close. 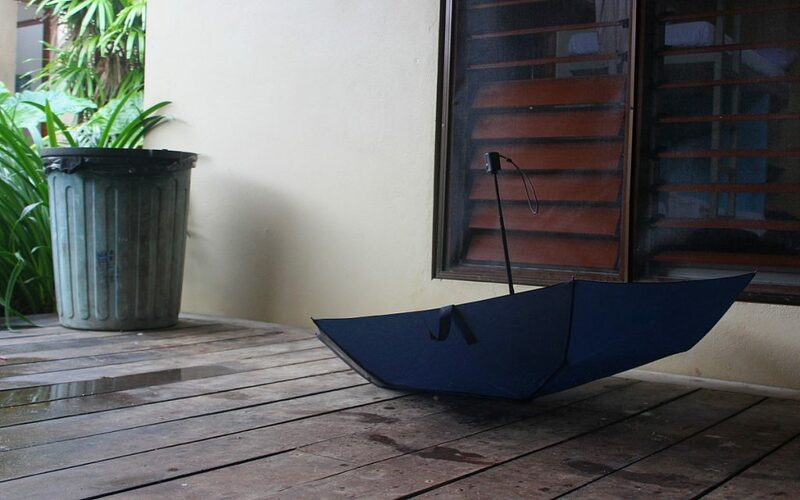 It rains a lot in Fiji. You never see the rain in postcards, but when you get there, you’ll probably experience it. Most of the time it was either cloudy or rainy, so hanging out at the beach was often out of question. 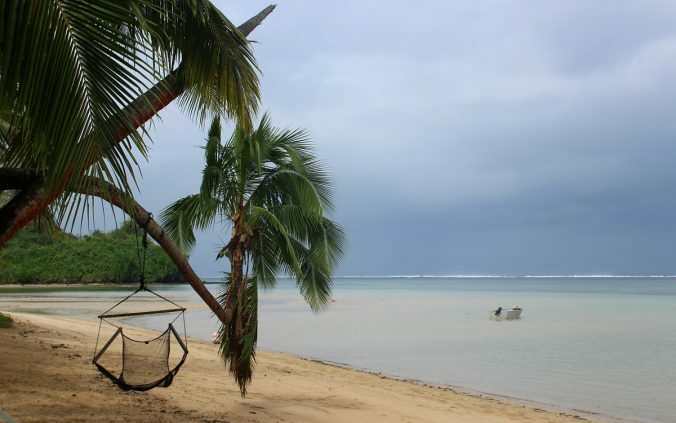 It might be a pity for someone to come to Fiji on a short holiday – just to have the sun hide behind the clouds every day. 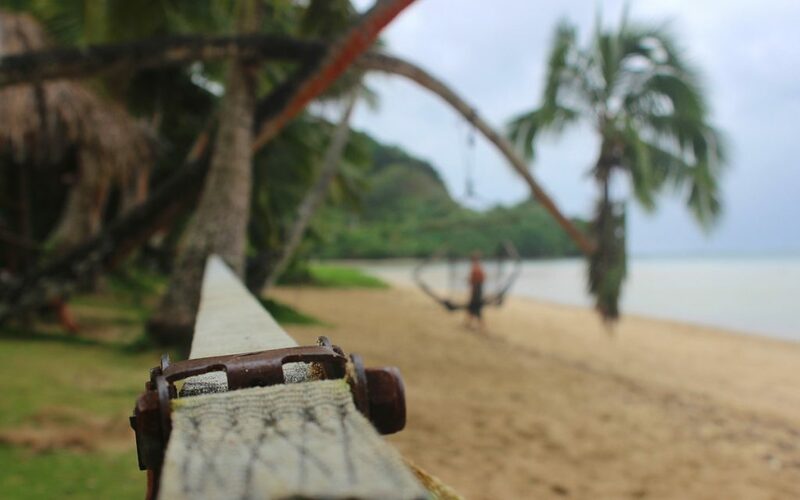 Fiji has a short dry season from July to September, but that’s also when the prices climb up. I stayed in June, which is the shoulder season between the tropical storms and top season. Although I’m taking a break to focus on blogging, I’m actually not able to work that much right now, because I forgot the charger of my laptop in Bali. I’m able to use my phone charger, but it charges my laptop really, really slow. It takes a whole night to fill the battery, so I’m only able to use my computer a few hours each day. 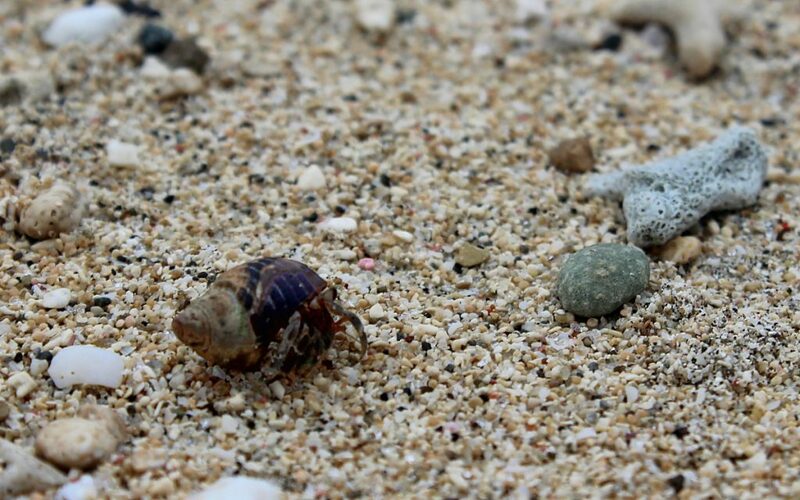 There were a few camera shy critters at the beach. After five nights, I decided to leave Beachouse and head to a bigger town. The high prices made me wish I had done my summer holiday in Bali, but I’m glad I got to experience classic resort life in Fiji. My summer holiday still continues until the end of the month, but my location has changed. Instead of Fiji, I’m now hanging out in Tonga. Arimo Travels Featured on Pretty Wild World!